"This a whole new modality... I can't wait to be able to provide my clients (and receive)"
"Heat is an amazing tool to get desired results without additional discomfort for the client"
"This was an amazing class. I learned how a little pressure with heat makes a 'big impact'"
"Working smart... not hard" "my clients won't let me work without these Hot Pillows!" "I am ready to replace hot stones with these techniques"
Here are some words taken from student Class Evaluations from over the years! 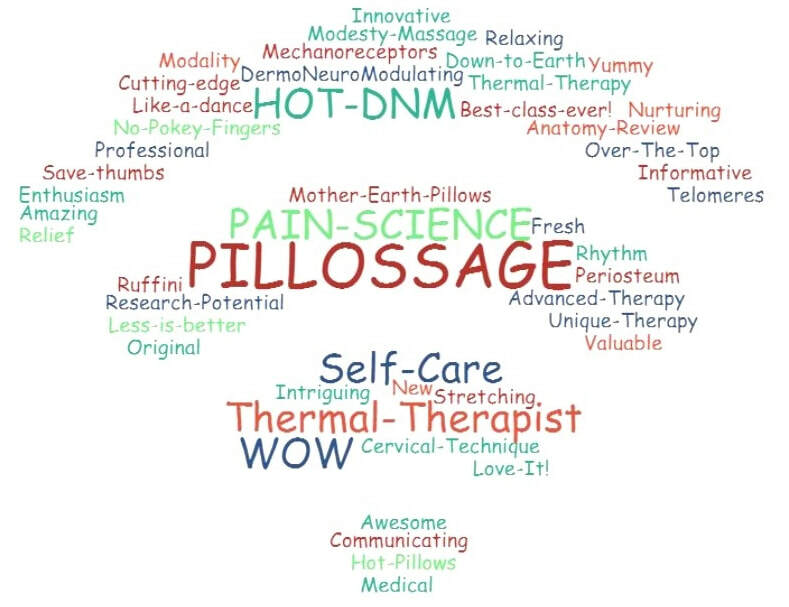 Pillossage & Thermal Therapy Word Cloud!